Located only 1 km from the centre of Kavadarci, Feni Hotel is situated in peaceful and tranquil surrounding yet easy accessible to the town centre and various cafes, restaurants and shops. The hotel boasts fully renovated rooms, from which 3 luxurious apartments and additional 45 rooms with double bedrooms and triple bedrooms. Each room is elegantly furnished and equipped with mini bar, TV, free WiFi and spacious bathroom. 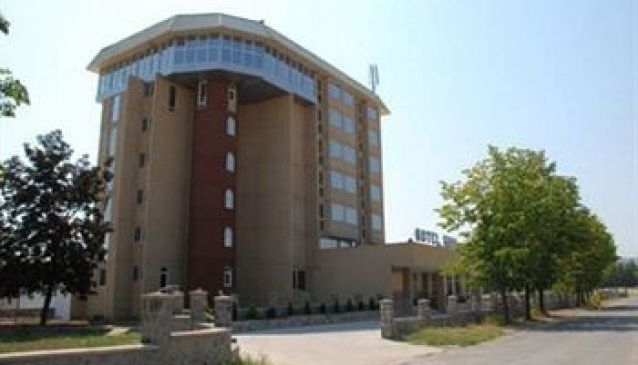 Feni Hotel also features free parking lot for its guests and a restaurant that can accommodate up to 200 guests with traditional Macedonian dishes and wide range of beverages. The professional staff is always on your service, whether you need a simple information or a room service.